Unloading the truck were, from left: Michaela Searle, Tiia Rehula and Crystal Powell, all of The Clothing Centre, and Firefighter Brenda Gerry. 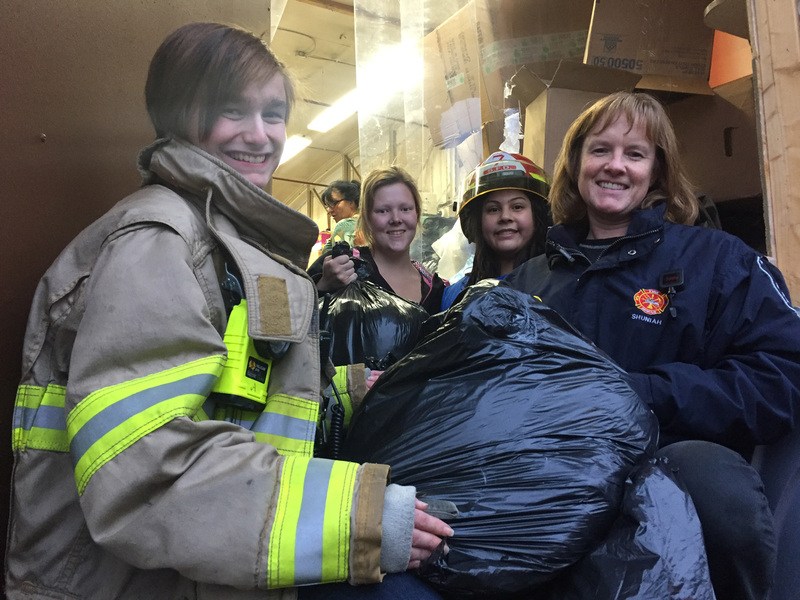 Shuniah Fire & Emergency Services is celebrating its 5th year of partnership with the Community Clothing Assistance program! This week, firefighters arrived with Rescue 53 filled to the roof with donations collected from generous Shuniah families. Freshly overhauled, The Clothing Centre at 404 N. May St. in Thunder Bay relies entirely on donations from the public and provides very affordable clothing and household items to people in need and crisis in Thunder Bay. Shuniah Fire & Emergency Services Chief, Blair Arthur, thanks everyone for their generosity!